Click Prepare Migration. 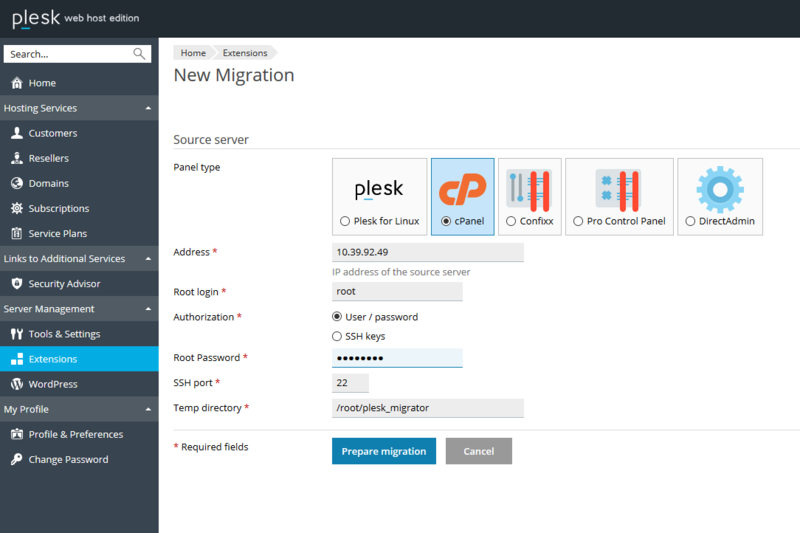 Read about further steps in Plesk Migration Guide. 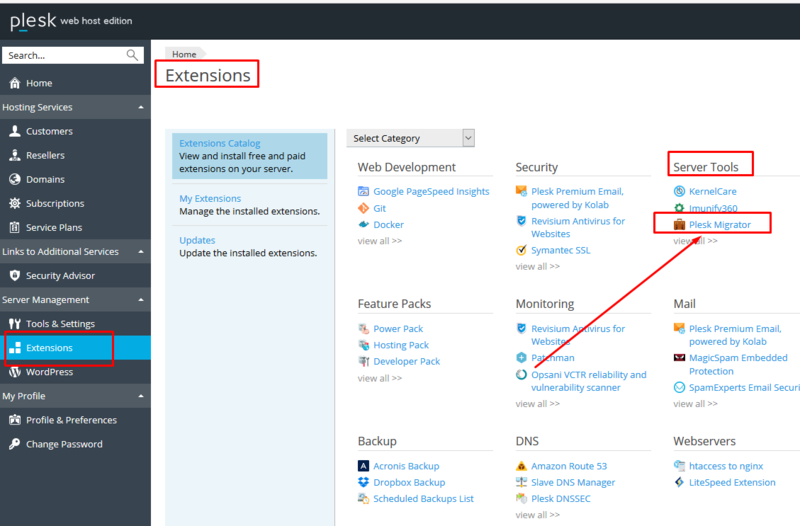 For additional information check Migrating via the Command Line section of Migration Guide.